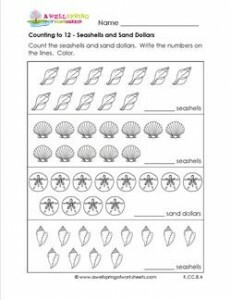 Close your eyes and imagine yourself at the beach picking up and counting 12 seashells and sand dollars. Now open your eyes! Her they are in front of you!